This week has been a bit of rough week. I’ve reduced my pain meds again and it’s left me feeling really unwell at times. This is going to be par for the course on and off for the next couple of months so I just need to get on with it as best as I can. I did cheer myself up with an online book buying splurge as I still had my birthday book vouchers so that was lovely. 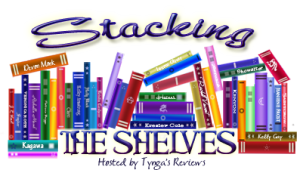 I shared what I got in my Stacking the Shelves post yesterday if you’d like to see that. This is such a good read. It’s a crime thriller but the focus is on the newsroom, and how they report a crime, the way they get information, and also how easily a reporter can become obsessed with a case. It’s not a fast-paced, twisty novel so far but it does grip you from the the opening chapter. I highly recommend this one. I’ll be writing my review of this one soon. This is the audio book I’ve been listening to with my husband over the last month. I’m not really a Phil Collins fan but I found myself really enjoying this book. The first half was better than the second half for me. I enjoyed hearing about how his career got started, and about the people he worked with etc, and hearing what was going on behind the scenes at Live Aid was very amusing, but I didn’t like the way he was so dismissive of how his treatment of each of his wives affected them. I know we all paint ourselves in our best light but it’s hard to listen to someone have seemingly no awareness of how he made other people feel. Aside from that aspect of the book, Phil Collins shared some great stories that did make us laugh, or caused a few raised eyebrows so I would recommend this to fans of his, but be ready to grit your teeth when he talks about his various relationships with women. I struggled to get into this book but I’m glad I persevered. I found that as the book went on I could identify with a lot of how Eve felt about her clutter, and the reasons why she had let it build up. I’ll be reviewing this on my blog soon. I’m a big fan of Paula Daly’s novels so was very excited to read this one. It kept me engrossed all the way through but I’m still unsure how to rate it. I read an ARC so I will be reviewing it as soon as I’ve got my thoughts in order. This is also a review book and I’ve had it on my TBR for a little while now but I’m annoyed with myself for being so slow to pick it up as I loved it. It grabbed me from the opening and I’m still thinking about it now, days after I finished reading. I hope to get my review finished and posted on my blog soon. I’ve only read the first few pages of this novel so far but I can tell it’s going to be one that I won’t be able to put down once I pick it up again! This is my current audio book and I’m really enjoying it. It’s such a clever book that really gives you a lot to think about, whilst remaining easy to read and enjoyable. This is such a good read. The first few chapters bring back memories of the 90s, with talk of pre-internet/mobile phone, the fashion, the music, the obsession we all had with The Body Shop (I loved Dewberry body spray from there!). Then the book discusses the internet boom and the impact it had on the creative industries, and on women. I’d definitely recommend this to Generation X-ers! I’m enjoying this book but it’s suffering from me being in the middle of it but not really in the mood to read it. I hope to get back to it in the next few days. This is a lovely book to dip in and out of as it’s a collaborative book featuring people who knew David Bowie, and it has some great photos in it too. I’m still struggling to read serious non-fiction so I haven’t read much of this over the last week. Hopefully, if I feel a bit better this week I’ll be able to read more of it. It’s a great read, it’s just bad timing for me to be reading it right now. This book was impossible to put down! I started reading it late in the evening and I got so engrossed that I was unaware of anything until four hours later when I finished the final chapter! I love an unreliable narrator and you certainly get one of those in this novel! Amber Reynolds is in a coma so straight away you can’t be sure if she’s remembering things correctly, or if she’s remembering but not being honest and this is what hooked me in. The way we’re told three things about her and one of them is that she sometimes lies is genius! This is a hard book to review because I really don’t want to give anything away. I will say that I was never sure who to trust in this novel at any point. Amber’s husband Paul behaves oddly, Amber’s relationship with her sister is strange but I could never quite put my finger on what was going on. The title Sometimes I Lie seems apt for quite a few characters, not just Amber – they’re all quite unreliable. The way this novel is written hooks you in very quickly and it will keep you hooked all the way through. It’s very fast-paced and gripping, and easy to read. There are twists and turns as the book goes on and they will make your head spin! I can usually guess what’s going on in thrillers these days as I read so many of them but this book got me, I had no idea. The final third of this book left me feeling like I didn’t know which way was up and I loved it! Sometimes I Lie is an original take on the thriller genre and won’t want to miss out on reading this brilliant, twisty, intense novel! It’s due to be published on 23 March and I highly recommend that you pre-order your copy now! Sometimes I lie is available from here. Sometimes I Lie is her debut thriller and is being published around the world in 2017. WWW Wednesday (15 March) What are you reading? I’ve read and loved Paula Daly’s previous novels so was excited to get approved to read this one on NetGalley. I started reading it last night and am hooked, I can’t wait to read more. This book is so good! I’m not quite 40 but this is my generation and the book is bringing back so many memories. I highly recommend this to anyone who is a generation X-er! I was sent this for review recently and was excited to read it when I saw it was blurbed as being like ‘Gone Girl meets The Newsroom’. I’ve only read a few chapters so far and it’s a slow-burn book but it hooked me from the first chapter and I’m really keen to see what happened. I started reading this last week and it wasn’t quite what I’d thought it was going to be so I put it to one side. I picked it up again earlier this week though and it has drawn me in. The descriptions of grief and loss are really heartbreaking at times as it’s believable and real, so this is definitely a book I will be continuing with. I picked this up last week after we went to see the Ziggy Stardust and the Spiders from Mars concert from 1973 at the cinema. It’s a lovely book filled with great photos and short essays about Bowie by people who knew him. It’s one I’m dipping in and out of at the moment and I’m really enjoying it. I really want to get back into this book as I love books about clutter but, for some reason, it’s not grabbing my attention as much as I want it to. I think I’m going to give it another chance and if it still doesn’t grab me I may put it to one side and come back to it another time. I’m still reading this as and when I feel up to it – it’s heavier non-fiction and with not being too well off and on at the moment I do struggle to take everything in. It’s a fascinating book though and I will keep picking it up when I feel up to it. This is the audio book I’m listening to with my husband so we’re listening as and when we have time. We’re both really enjoying it but I’m finding myself getting annoyed with the way Collins seems to have very little consideration for the way he treats some of the women in his life. He’s either not wanted to be open in his book, or he has managed to convince himself that he did nothing wrong. I’d still recommend the book though. I picked this up to read the first chapter whilst deciding what to read next and I just couldn’t put the book down. I ended up reading the whole novel in two sittings and was riveted. It’s a review book so I hope to have my review up soon. This was a really interesting look at football from the late 80s to the present day. If I’m to be honest a couple of chapters fell a little flat for me but on the whole this was a really good read and I’d recommend it to all football fans. This is a graphic memoir, and it was a heart-rending read. I only started reading graphic novels last year and it still amazes me how much emotion can be packed into a book with so few words. I’ll be reviewing this on my blog as soon as I can but it is one I’ll definitely be recommending. This book was a brilliant read. It had me engrossed from very first chapter all the way through. I’m on the blog tour for this novel so my review will be up tomorrow as part of that. I feel sure that this book will make my top books of this year – it’s a beautiful novel that I know will stay with me for a long time to come. I read this book in one sitting – I just couldn’t put it down! I read an ARC so will be reviewing this as soon as I can. It’s a book not to be missed though. I’ve read and loved Dawn O’Porter’s previous novels so was really excited to see that she had another coming out soon. I can’t wait to start reading this and feel sure I’ll love it as much as the others. I was also thrilled to get approved to read this on NetGalley and I’m so keen to start reading once I’ve finished one of my current books.